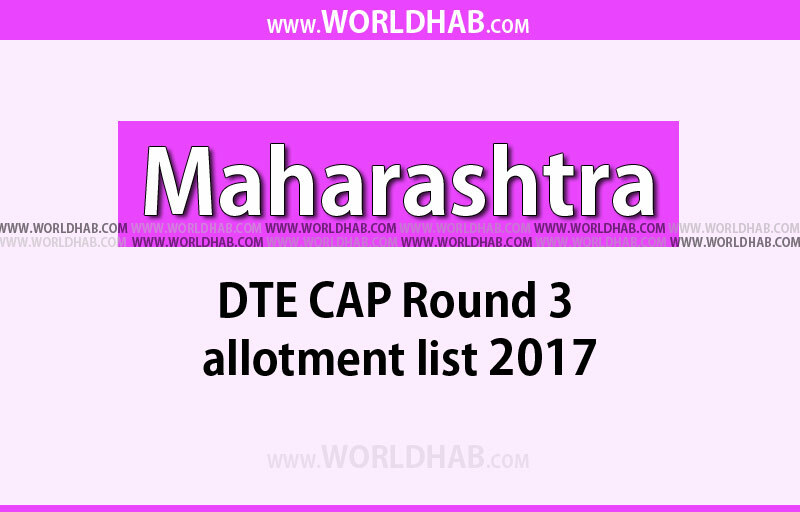 The Directorate of Technical Education (DTE) of Maharashtra set to release the CAP round 3 vacant seat list on July 31, Monday. Candidates those who all applied for the courses to get admission into the engineering in Maharashtra can check the list of vacant seats at various colleges on the official website. On July 25, the Directorate of Technical education had released the provisional allotment list for CAP Round 3. And also, they had directed those who qualified to report to the ARC from the date of July 25 and July 28 to confirm their seats. After the declaration of Higher Secondary Certificate (HSC) class 12th results, the admission process of engineering and pharmacy in the state has started in June 2017. Totally around 1.3 lakh engineering and 36,000 pharmacy seats are allocated. Based on the results of Maharashtra Health and Technical Common Entrance Test (MHT CET) 2017, the allotment list for admission to these seats are prepared. Search the link which related to the CAP 3 engineering allotment 2017 vacant seat list. Then, click on the link. Now, download the results (or) save it as PDF and take a print out for further reference.